The post A Disappointing Trend appeared first on INGRID FOSTER. The post Shirley Burly by Scott Pixello appeared first on INGRID FOSTER. Those who read my stories will know what a Spider-Cat is. Wishing, Everyone, a wonderful Valentines’ Day! from Albion’s sweethearts Esme and Stone …and may all your love stories come true! 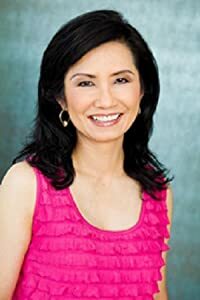 The post Feedback from Writer’s Digest Self-Published Book Awards appeared first on INGRID FOSTER. 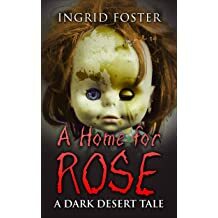 Find Tina-Marie Miller On Amazon The post Tina-Marie Miller’s FAME and FORTUNE appeared first on INGRID FOSTER. 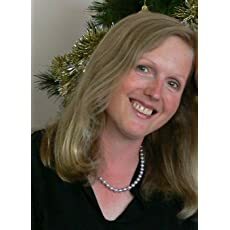 The post Interview with Hounded Author Ellie Douglas appeared first on INGRID FOSTER. The post Kevin Ansbro’s The Fish That Climbed a Tree appeared first on INGRID FOSTER. 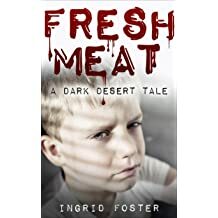 The post My Interview with Author John Claude Smith appeared first on INGRID FOSTER. Just a quick note to let you know I'm off to a fantastic start writing-wise in 2018. 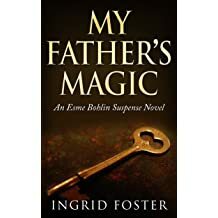 I just released my novel, My Father's Magic, in print form. It's currently available for purchase on Amazon. 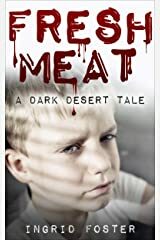 Also today thru Sunday, my short stories, "Fresh Meat" and "A Home for Rose." 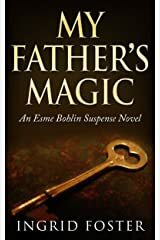 are both free and I've reduced the price of the eBook version of My Father's Magic . Or, you can get it for free when you buy the print version! To All of You Who Are Motherly! Happy Mother's Day to all of you who are motherly! Mother's Day has always been an enigma to me and every year I am puzzled as to how to feel about this day. You see, my relationship with my own mother was strange and often estranged and so I can't relate to my friends who reminisce of loving and close relationships with their mothers. Spirituality in a Teabag - Truth is Everything? Can One Get Spiritually From a Teabag? Apparently Yogi Teas thinks so, because everyday there is a message of enlightenment on the label of my teabag. Today's message is, "Truth is Everything," and we seem to be on a roll because yesterday's message was about "truth" as well. But it obviously didn't sink in, because that's all I remember. What is being mindful? For me, being mindful is being aware or being in-tune with the present, what I'm doing, how I feel and what's going on around me. It's taking time out of my busy life to just focus on me, not change me, not change my circumstances, but get off the busy treadmill of life, allow myself to relax and just take care of me, even if only for a few minutes. Sort of like a mental "stop and smell the roses" moment. New Cover - Same great magical suspense adventure! On April 22nd, 2016, my fantasy suspense novel, My Father's Magic, was published on Amazon. Here is the original cover. Which do you like better? Our guest for today, Amie Irene Winters, author of bestselling novels, Strange Luck, and The Nightmare Birds. One of the things that attracted us to moving to the desert, was the lack of grass to mow. But, likewise, we also quickly noted that with no grass or ground cover, everything living or buried within the sandy earth was also easily revealed. So, as we began our gardening adventures, we found things that the desert had long ago claimed. In my office, I have a lion and a small dragon. Both are made of brass and both were found buried in the crusted dirt around our home. My imagination, being a sometimes strange and dark place, began to wander, to form the "what ifs." I exist Through the good days and bad,The ups and the downs... Oh, how they threaten to drown! I wonder,Does one ever get past this pain,This suffocating sense of loss? Originally I signed this book from the library while researching the fall of the Roman Empire and the Dark Ages. As this book is based upon the Roman historian Tacticus' observation of the Germanic hordes that had taken over Europe as Rome declined, I had hoped it would prove useful to my research. 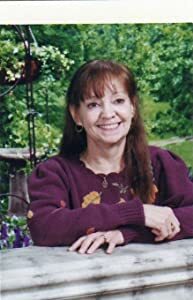 After a long struggle with a mentally-crippling illness, my mother died yesterday. Due to her illness and other psychological trauma, we were never able to get as close as I would have liked. She was just not capable. But as a direct result of her passing, I had reached out to my aunts, her sisters, and a world of understanding enveloped me. Just finished THE DEVIL'S GRAVEYARD by Indie Author TL Parker, it's one of those amazing tales that seamlessly crosses genre lines, keeping readers enthralled until the very end. I really like what another reader, P.S. Winn, wrote in her Goodreads review, "This epic novel feels like it was 400 years in the making." You Don&apos;t Like Me Cause I&apos;m White? Really? Yup, that's me just before entering the USAFWhen I left home on July 14th, 1981, to enter the military, I left a very small rural area called Embreeville, Pennsylvania. I had been bused to the same school district miles away my entire young life. Recently finished K.N. Lee's NETHERWORLD, the first book in her Chronicles of Koa series. ...otherwise known as Air Force BMT (Basic Military Training.) We woke up early, 5 am, to the sounds of Reveille, which is surprisingly loud that early in the morning, and then were immediately yelled at. Between that damn, persistent bugle and the even more persistent TIs (Training Instructors) I think I went into shock. 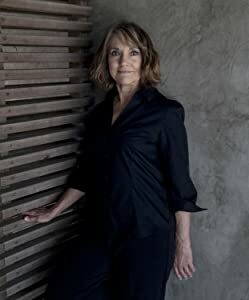 This morning while reading Jeanne Cavelos' essay, "Innovation in Horror," in the HWA Handbook, ON WRITING HORROR, I was once more moved to record my thoughts in this blog. When writing a story, you are your own best immediate gauge of how good it is. Does it excite you, hold your interest and keep you on edge? Are you emotionally vested, even to the point of potential embarrassment? If not, you need to either make significant changes or start over. If you don't feel emotionally tied to your own story, your readers won't either. Some books immediately grab you and won't let go until you've read the last page. Brian Keene's CASTAWAYS is one such book. I started reading it yesterday morning while waiting for my husband during his dentist appointment and, I kid you not, I finished the book in one day. (Not a norm for me.) 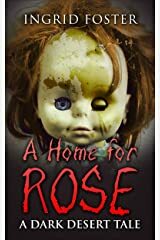 According to Brian Keene's own words, he is a fan of the reality-TV show Survivor and it shows in the writing of this book. Imagine your goals, your dreams are just within your grasp and then a scientist you've never met discovers a gene that is common among the most depraved murderers in our nation's prisons and that anyone with this gene has a tendency toward extreme violence. Then, to ensure the safety of all citizens, the government requires everyone to test for this gene...and guess what, you have that gene. I recently finished OUTCAST by Cheryl Matthynssens. The heartwarming tale of a half-breed boy, Alador, who is caught between two very different kingdoms. One kingdom reveres dragons and seeks to protect them while the other will do anything to acquire the magical properties of their blood. Some books make you cry, some books make you laugh and some may even scare you... But if you're lucky, you'll find a book that does all three. Neil Gaiman's dark, children's book THE GRAVEYARD BOOK does all three. I started reading it a while back and decided it wasn't my "cup of tea." Tried again and so very glad I did. This is definitely one I will read again and again.